Urbix Resources, co-founded by UA alumni Adam Small and Nicolas Cuevas, was named last year as one of five companies to receive a Department of Energy technology development voucher for preliminary work oriented towards the advancement of ultra-high purity isotropic graphite. The research began in 2015 through a sponsored project whereby Urbix commissioned the UA to develop processes for graphite purification and graphene exfoliation. 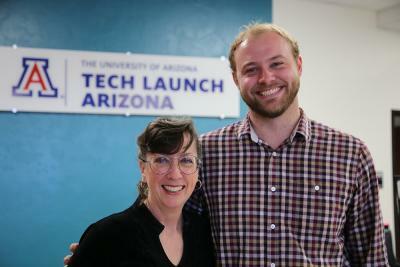 Join us as we hear from Small about their experience commissioning the work, collaborating with the research team, and working with Tech Launch Arizona to commercialize the intellectual property. Please register at the right by September 28. A light lunch will be provide for all registrants. If you have dietary restrictions, you are welcome to bring your own lunch and join us.